Valley Fabric Shop opened its doors at this location some 32 years ago. Charla Youngberg, the owner, built the original strip mall where the store is located after deciding the women of Bridger Valley needed more opportunities. In the beginning, the store carried a variety of fabrics, including many choices for clothing. For the last 15 years, Valley Fabric has been exclusively a quilt shop. 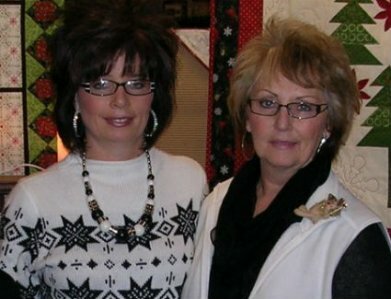 Bobbi, Charla's daughter, manages much of the store, especially when Charla heads south for the winter. Both women work very hard at providing quality fabrics, patterns, notions and classes for any quilter. The shop also employs several talented women who can help customers with any quilting needs. Valley Fabric Shop is YOUR IDEA PLACE...a place where friendship and creativity reign. We appreciate every customer who walks through the door and strive to serve each individual in a very personal way!